Okay....back form the fishstore and I have an API ammonia testkit....(drops not paper)....it tested the ammonia @ 0.25.......I gather that a 0 is preferrable...?? (so do I need to bring it DOWN...? )...if so HOW ?? and will changing it effect my other readings ?? "OR" with an ammonia reading of 0.25...gh=180...kh=240...ph=8.0...no2=3...no3=0-20...is it safe enough to put the former tennents BACK in their home....and then fine-tune the tank as is....w/them living IN it ?? Yes Ammonia needs to be at 0. Some PWC`s are in order to get it going back that way. With the ammonia reading I would not put them back in yet. Why do you have the ammonia? Is anything dead in there or overfeeding? We need to find the source. I know the forum thing is new to you, but please don't start new posts to repeat what you've already posted. Kinda clutters up the place and makes more work for the moderators! With that said, I really think you need to reread the stuff about cycling. There are plenty of ways to get your ammonia to read zero, but you need to go through the ammonia spike and nitrite spike to cycle the tank. Until you seen those two parameters go up, then go back down to zero, your tank is still cycling. If I remember correctly, you cleaned out your main tank pretty aggressively, so it'll have to recycle. The fact that your ammonia is at 0.25, and your nitrites are at 3 tells me that you're over your "peak" for ammonia, but your nitrites are still going up or are near their peak. I'd expect that in a couple weeks, both your ammonia and nitrites will be at zero, and THEN you can safely add the fish back into the tank. There ARE a bunch of dead snailshells in the sand....(which in all of my uneducated stupor I'd thought to rinse...w/freshwater...an leave in the tank for looks.) Could this be the source of ammonia ? Other than that theres absolutely nothing over eating in the tank.-nothing is alive in there as of yet. Ok thanks. 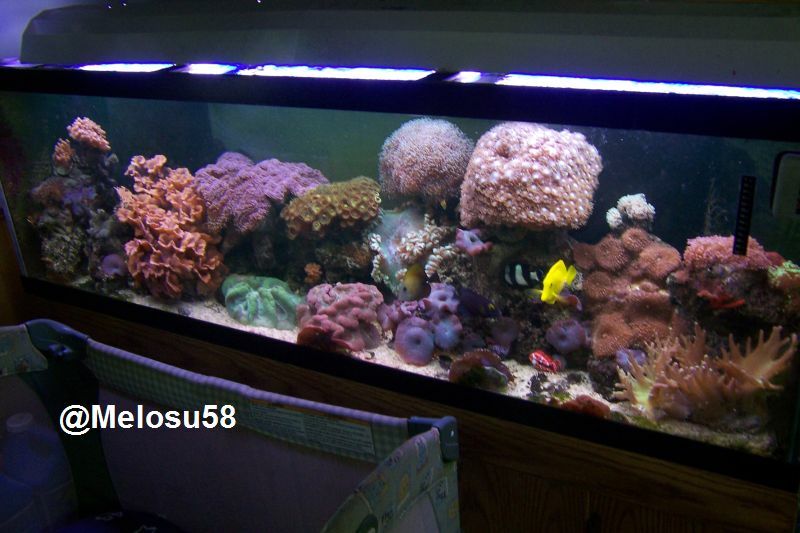 I would like to say that I agree with Kurt that your tank [probably needs to cycle which is what it is doing now . Wait till your ammonia and nitrite is at 0 then do a PWC and then you`ll be OK.